Thanks to our years of experience working in all aspects of park operation, we’re proud to offer a specialist general consultancy service that is bespoke to the unique needs of you and your business. We’ll kick things off with a detailed review of all aspects of your park. We take our findings and overlay your own objectives and aspirations. Our goal is to ensure your business reaches its full potential in the most efficient and time-effective manner possible. We’ll help you work smarter, become more productive, and grow your business. When it comes to marketing and advertising there’s far more to consider than understanding the basics of structure, relevance, content and ROI. It’s vital that you understand your audience – without a clear understanding of your ideal customer, everything else will fall flat. We offer professional campaign management, including newspaper and magazine editorials, and advertorials, as well as exclusive rates, budgeting and booking. With our help, you’ll quickly land in front of the right people, at the right time, for the best possible price. Crafting the copy for your business is essential to ensure you are always on-brand, consistent and professional, but it can be easier said than done. Producing fresh, relevant and powerful advertising, media posts and content is time-consuming and requires consummate skills. Professional copywriting is sometimes overlooked, but it’s one of the most effective marketing tools in your arsenal. The written word can be mightier than the sword. Well-written copy will encourage customers to take action, and increase conversion rates through your advertising, social media and website. We offer a full range of content and copy creation services, with the option to have us upload fresh information and posts on a regular basis. Create and maintain a positive image and grow even stronger relationships with our professional PR services. We’ll help you take advantage of social media, PPC, SEO, and digital PR, to create the perfect media profile for your business. We’ve made our name by cultivating exceptional profiles for our clients that have achieved amazing and lasting results. Nothing slows you down like getting stuck waiting on haulage. Take advantage of our professional, industry trained and experienced haulage options. We provide service both to and from your park, from static home moves to the largest mobile park homes. Our fleet is also ready and able to move homes anywhere in Europe, with specialist options in plant and machinery moves. Our fantastic and longstanding relationships across a vast network of park and holiday home suppliers, coupled with early reserved order slots, means that we can offer our clients exclusive deals, discounts, and upgrades, as well as short notice order and delivery slots. Just get in touch to discuss our current pre-order home list, and let us know how we can help. Setting up and managing a successful part exchange service will allow faster stock turnover, and enable you to sell off plan, generating new revenue streams. It is all about constructing the perfect deal to secure your customer. If you’re managing the process yourself, we offer high-quality marketing material and sales agreements, as well as valuing properties across the country, introducing and managing estate agents, and providing experienced solicitors and support throughout the process. 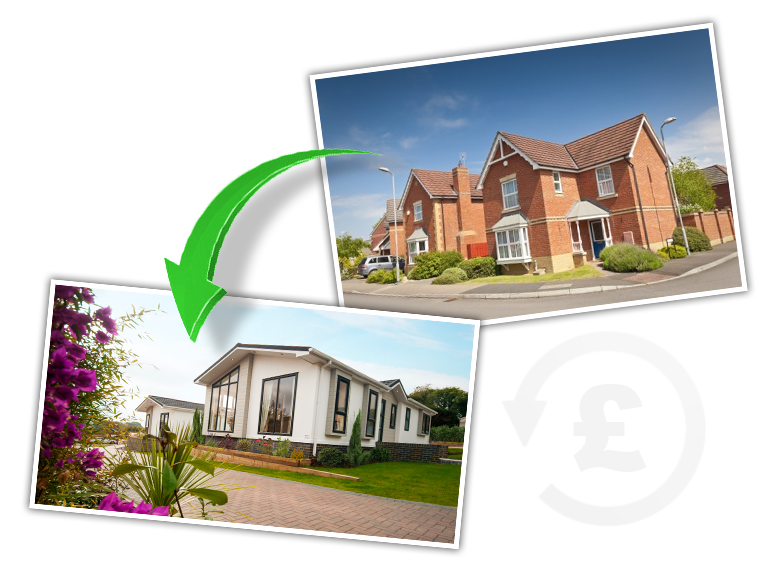 Alternatively, if you’d rather hand everything over to us, we can supply safe and secure buyers for the properties taken in part exchange to expedite the process, putting the cash in your bank in as little as 14 days. We are here to help, with quality advice on the best events and shows to attend, and those to avoid. 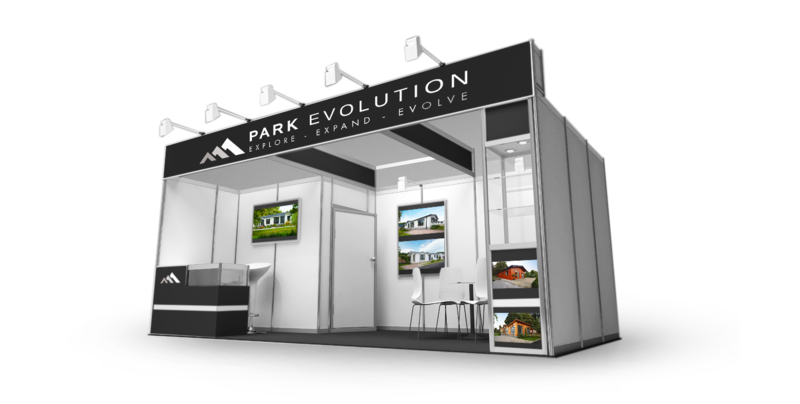 In addition, we can offer you space on leading manufacturers’ stands, showcasing their latest homes. We’ll design and provide all of your event branded materials, from displays and brochure stands to signs and banners. Events can make or break a business, but planning, organising and executing open days or weekends, meet and greet placements at shopping centres or local attractions, and on-location unit placement can be a real headache. Sit back, relax, and let us handle everything, from advertising and promoting your events to blogging and securing trained sales people to offer additional support.